Congratulations to our branch volunteers, recipients of the 2016 Ontario Volunteer Service Awards! Maggie Patterson, receiving her 5-year award at the Caboto Club April 14. Other recipients who were not present at the awards ceremony. Thank you all, for your invaluable time, effort, and experience! Every year the Ontario Ancestors holds two Family History competitions open to Ontario Secondary and Post-Secondary students. The winner of each competition will receive a $500 award, a one-year membership in the OGS, and publication in the OGS quarterly journal, Families. The deadline for entry is April 1, 2015. (May 2014) Helping her grandmother document family stories led University of Windsor student Chelsea Meloche to begin looking into her family history. 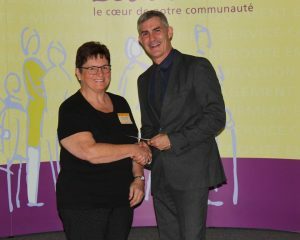 Writing about her experience won the LaSalle resident The Mike Brede Genealogical Essay Prize awarded by the provincial office of the Ontario Ancestors (OA). Chelsea recently joined the Essex County Branch to learn more about family history research. The $500 prize was presented to Chelsea by Debra Honor at our public meeting on May 12th. In addition to the cash award, Chelsea’s essay will be published in an upcoming issue of the OA quarterly journal, Families. The Ontario Ancestors holds several competitions annually, including the Mike Brede Essay Prize for full time post-secondary students and the Dr Don Brearley Essay Prize for secondary school students. We hope Chelsea will have continued success in family history research and would like encourage other young people to begin their own family history journey. (April 2014) The EssexOA resource collection, monthly meetings & events are only possible due to the efforts of active OA member. Congratulations! 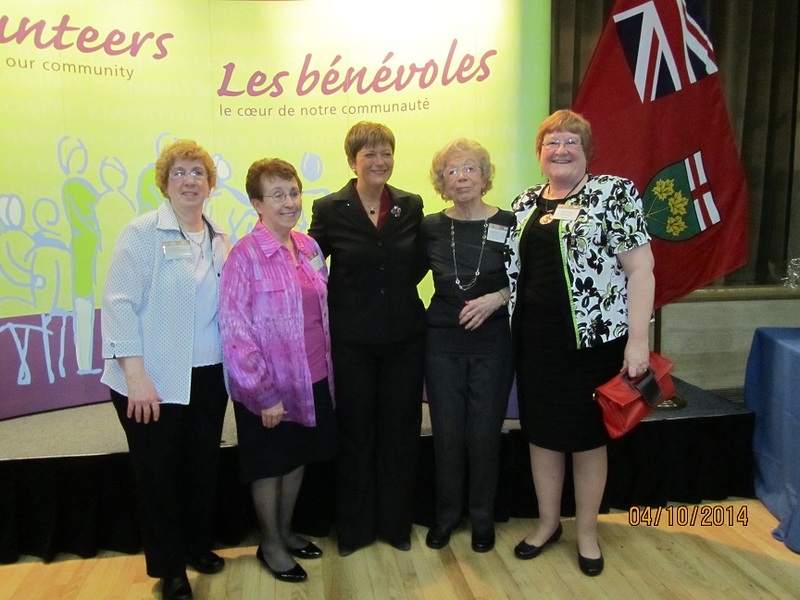 to these Essex branch members whose efforts have been formally recognized by OA at the Ontario Volunteer Service Awards April 10th. In total: Over 120 years of Experience and Fun!